MLT is capable of laser machining, cutting, and drilling many thin metals to exacting tolerances. Specializing in the laser processing of thin, flat, sheet or roll stock, laser fabrication of metals and metal alloys is limited to a maximum thicknesses of .100″. A subset laser machinable metals and metal alloys are listed below. Metal selection is generally based on the properties of strength, wear resistance or hardness, corrosion resistance, formability, and machinability. Surface finishes may be precision ground, unpolished, coated, polished, brushed, bright, or reflective. Offers good machinability at an economical cost but lacks corrosion resistance. • Carbon steel – an economical choice for machining and structural applications, and it can be surface hardened. • Alloy steel – greater strength and hardness than carbon steel, making it useful for high-stress applications. Heat treating can further enhance strength and hardness. • Tool steel – used to make cutting tools, and it can be heat treated for extreme hardness. Nickel can handle many aggressive chemicals and acids, even at high temperatures. Titanium is extremely strong, lightweight, and maintains good corrosion resistance in marine environments. Excellent conductors of heat and electricity, these metals are soft and very formable. These alloys have a high copper (red) content that provides corrosion resistance and redish-brown coloring. With a minimum of 99.3% copper content, copper is an excellent conductor of heat and electricity in electrical applications. Brass alloys consist of copper and about 40% zinc that promotes machinability. Bronze alloys are mostly copper with small amounts of tin, iron, and zincthat promote low friction and high wear resistance (i.e. bearings). Inherently soft and is readily alloyed with other metals to form solder. Commonly used to make gaskets and filters, these soft sheets are very easy to form. 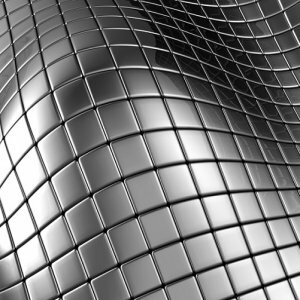 The material is considered commercially pure, because it contains more than 99.9% tin. Very wear resistant (harder than tool steel) and can withstand extremely high temperatures. All shapes are C2 tungsten carbide. Zinc provides non-sparking, corrosion resistance, formability, and non-abrasive properties as an alternate to lead. 99% zinc is considered pure and the softest of all the zinc alloys. Zinc is excellent for EMI/RFI shields and architectural sheeting.